Defined by its fantastic coastal location, this rare opportunity of three 2 bedroom units will greatly appeal to investors seeking a triple income return or developers searching for a prime parcel with wide 20m frontage. This prime block of land is suited for multiple units, a stunning duplex or your dream home (STCA) in this desirable location. Near local cafes and a walk or cycle ride to surf beaches, ocean baths, The Beaches hotel and village shops, this solid investment promises terrific rewards in an unbeatable location. * Auction on Site Sat 13th April at 10.30am. 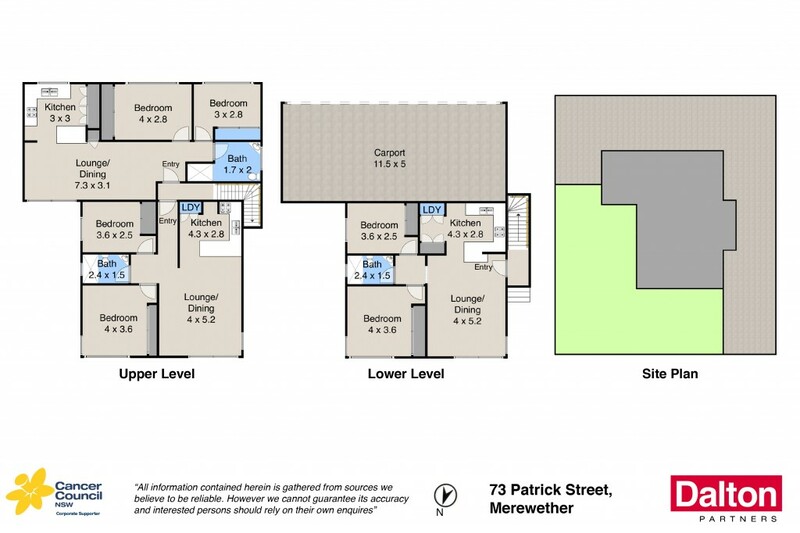 * Capitalise on this unique development opportunity in Merewether. * Three units on one title, large block ready for your dream home (STCA). * Position, position, position - you can smell the coffee shops. * Also ideal site for duplex or units (STCA). * Wide 20m frontage combined with a generous 507m2 approx landholding. * Terrific address, walk to the beach, cafes and The Junction shopping village.